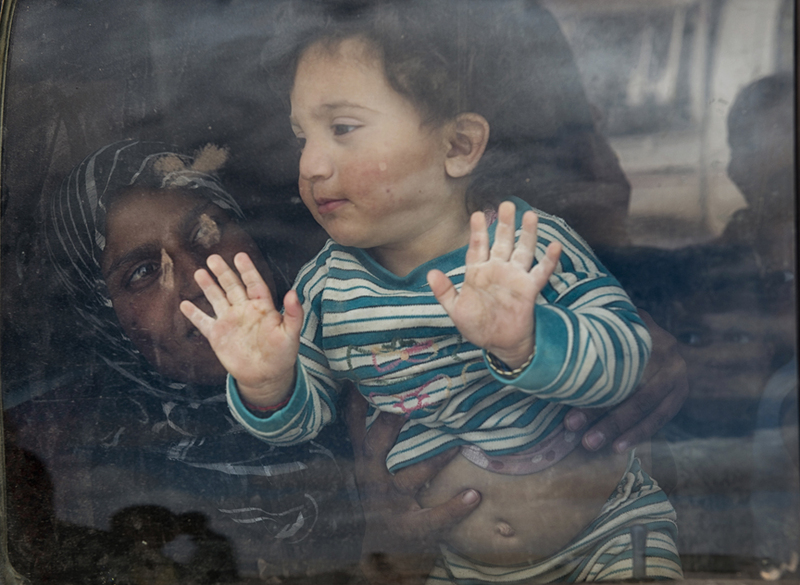 Sawsan Ibrahim, 24, holds her daughter, Aya, 16 months, up to the car window, the morning after she and her husband, Mohammed Suleiman, 36, arrived in the Zaatari camp from Daraa, Syria to Jordan, April 7, 2013. Roughly 100,000 Syrian refugees live in the camp, and more arrive each day desperately trying to flee ongoing violence across the country, crossing through official and unofficial border crossings between Syria and Jordan as the civil war in Syria enters its third year. The United Nations estimates that the number of Syrian refugees in countries bordering Syria is currently over one million.